Members of labor unions and other labor groups protest outside the Legislative Yuan in Taipei yesterday as lawmakers debate amendments to the Labor Standards Act. Labor campaigners yesterday rallied outside the Legislative Yuan building to protest against proposed amendments to the Labor Standards Act (勞動基準法), demanding that lawmakers scrap the amendments, which they said would institutionalize inferior working conditions prevalent in the nation. More than 100 protesters from the Workers’ Struggle Alliance, Taoyuan Confederation of Trade Unions and the Trade Union of Electrical, Electronic and Information Workers in Taiwan gathered outside the Legislative Yuan, criticizing what they called the Democratic Progressive Party’s (DPP) attempt to force the amendments through the legislature. The proposed amendments seek to scrap seven national holidays and implement “one flexible rest day and one fixed day off” to accommodate a 40-hour workweek bill passed last year. Following news that the legislature was to vote on the amendments after the DPP caucus resumed a floor meeting brought to a halt by Chinese Nationalist Party (KMT) lawmakers, protesters threw smoke grenades into the premises of the Legislative Yuan and burned joss paper outside its gates. “The DPP has become a different party after the elections. Before the elections, to garner our support the DPP promised that it would not axe the seven holidays, but after it won the elections, the party rears its ugly head just like the KMT,” Hsinchu Confederation of Trade Unions director Chan Su-chen (詹素貞) said. 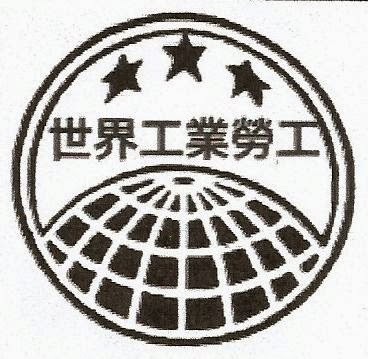 Many of the protesters had previously worked with the DPP on social issues, but “the DPP turned into another KMT” once it assumed power, Taoyuan Confederation of Trade Unions director Mao Chen-fei (毛振飛) said. “Follow the will of the public. Go against the party’s will. Do not kill the holidays,” protesters chanted, urging DPP lawmakers to act on personal values instead of as a rubber stamp for the party. DPP Legislator Lin Shu-fen (林淑芬) is the only DPP lawmaker who sided with the protesters and she is to receive disciplinary action for refusing to attend yesterday’s legislative meeting, alliance member Lu Chyi-horng (盧其宏) said. “President Tsai Ing-wen (蔡英文) said labor rights was where she was the most vulnerable, but what we see is the government’s plan to slash seven holidays,” Lu said. One of Tsai’s campaign pledges was to reduce working hours and implement a five-day workweek, but the DPP administration’s “rest day” policy could not serve to reduce working hours, as employees could be forced to work on “rest days,” while the number of national holidays would be cut from 19 to 12, alliance member Kuo Kuan-chun (郭冠均) said. About 53 percent of the public said it did not support the cancelation of seven national holidays and only 35 percent said they accepted the cancelation, Kuo said. A hunger strike is being held because the amendments are the only labor law revision in 16 years, but the DPP seeks to create a loophole for employers to exploit workers with the “rest day” policy, protesters said.